Credit limits on the new 118118 Credit Card start from £250, despite this, even if you repay in full each month you will be charged £8 per month for holding the credit card. For those looking to rebuild their credit and those that are willing to repay their owed balance in full each month really should consider applying with Capital One, Vanquis or Aqua (where monthly charges don't apply). It will be a Credit Card to watch that's for sure, although personally monthly fee's don't really appeal to me! The Current Charges were £8 for a credit limit of £250, £14 per month for a Credit limit of £500 and a whooping £17 per month for a credit limit of £1200. If you hold a balance on your credit cards each month this card could be for you, however, if you like to clear the balance each month you will pay a monthly fee depending on your credit limit. Fancy paying a monthly fee just to hold a credit card in your purse/wallet? 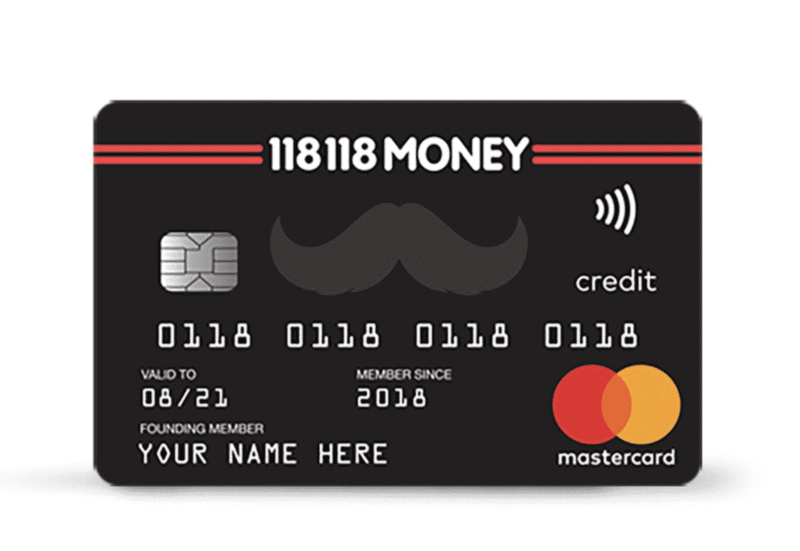 No neither do we, however, 118118 money have just launched just that. Now don't get me wrong, if you hold a large balance on this credit card and pay back in small instalments you may actually be better off holding a credit card with a fixed monthly fee. However, if you clear your balance each month in full, or maybe, don't even spend on your credit card in a Calendar month or for that matter end up with a small credit limit, the £8 per month charge could actually appear pretty expensive. Quick checker so you know if you could be accepted before submitting a full application.